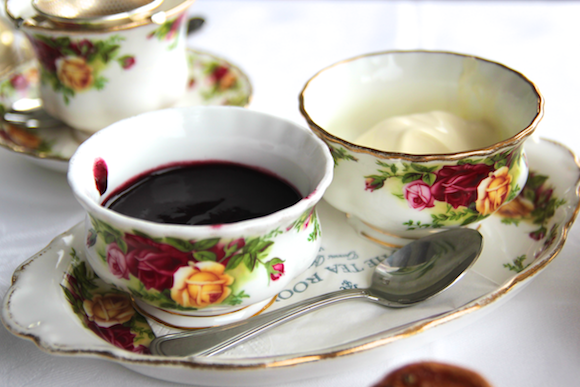 As you can tell from these past experiences here and here, I have a penchant for the luxurious ritual that is afternoon tea. 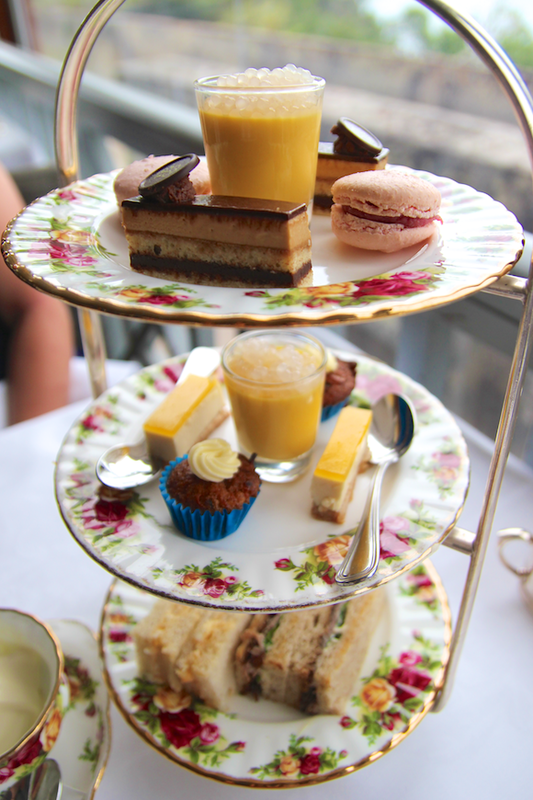 Sipping loose leaf tea, indulging in dainty and delightful food, all the while dolled up in your most prim and proper attire -- everything about afternoon tea squeals, well, me. 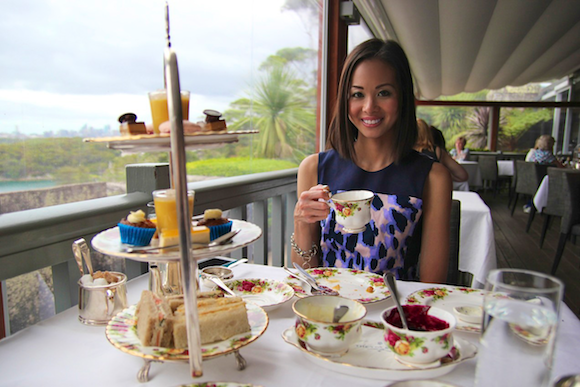 When I first arrived in Sydney, I went for afternoon tea with my cousin -- the perfect celebratory welcoming into the city. 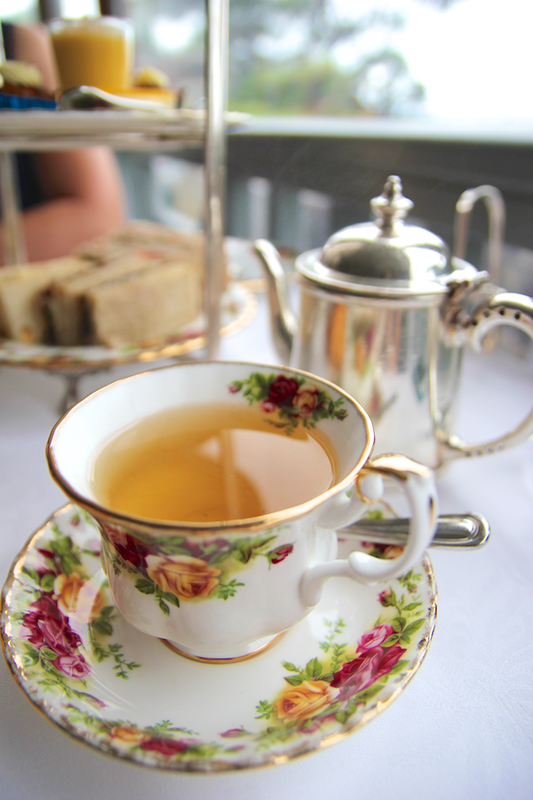 Housed in a beautiful historical building, the Tea Room at Gunners Barracks offers a traditional afternoon tea served in oh-so-pretty vintage china (another weakness of mine). 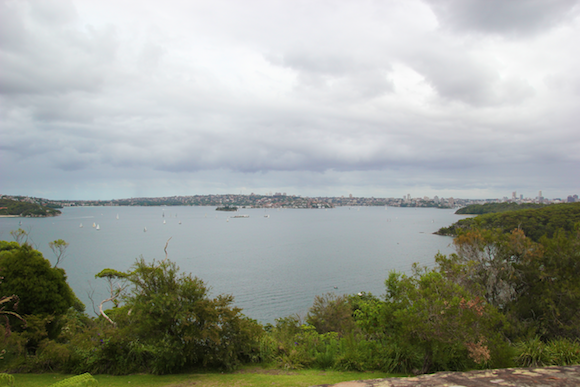 We sat on the terrace, chatting and munching away for hours, the spectacular view of the Sydney Harbour sparkling in the background. The menu features the usual teatime fares: finger sandwiches, mini cakes, sweet and savoury pastries -- all delectable and beautifully made. 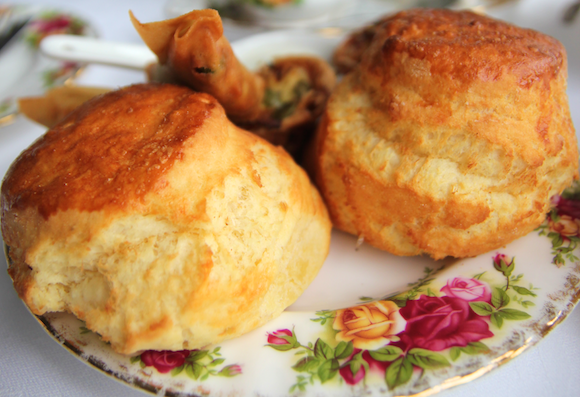 But for me, the shining star was arguably my favourite part of afternoon tea: warm, buttery scones. Wonderfully golden brown on the outside, soft and crumbly on the inside -- smeared with a nice layer of clotted cream and raspberry jam and I was in heaven. The British would approve, and it definitely won this Canadian girl over.